The site’s info and many links cater to visitors whether they’re driving by car, campervan, caravan or 4WD. Full of tips, guides and hints for NQ touring, it also offers the lowdown on four popular routes - the Great Tropical Drive, the Overlander’s Way, the Matilda Highway and the Savannah Way. There’s the usual social media options to share the joys of a road trip - and even a YouTube channel showing some of the best highlights along the way. Drive North Queensland co-ordinator Russell Boswell says the website is an address for anything - from fishing and camping permits to where the best mobile phone coverage can be found. “It’s about getting connected to the locality you’re entering in the best way. It’s also really easy to click onto the next level of information - from regional attractions say on a Tableland Visitor Information Centre’s site, through to a statewide trip planning site like RACQ, all the way up to a national weather information site,” said Russell Boswell. For events, the Tourism Queensland funded portal pulls through Events Queensland listings comprehensively, and for accommodation and attractions the site links directly into regional tourism organisations. Travelers can sign up for an e-newsletter from the portal, and ‘ask ahead’ via the social media options. Holiday Travel TV’s Dianne Costa, who created the video vignettes for the site’s YouTube channel, said the opportunity to film many of the wonderful and breathtaking destinations in North Queensland had been ‘life changing’. “For two east coast people used to the spoils of city life about to embark on an unknown journey west to the 'dry dusty outback', we were understandably hesitant and unsure as to what lay ahead. But thank goodness we did it! What an amazing and life changing experience. We had never encountered so many friendly and happy people who were all too happy to welcome us and proudly show us their way of life,” she said. Dianne often heard the comment "We were meant to go 'here' but ended up 'there' because everyone kept recommending us to somewhere else and we have loved it". “For someone like me who always flew to a destination and stayed in nice hotels, I have never enjoyed a travel experience as much as my drive experience through the Queensland outback. It has been a life changing experience and I have met many wonderful new friends (who I still bump in to along the way) and I can't wait until the next time we are back on the road again. You don't need to be a grey nomad to enjoy life on the road, it could and should be done at any age, young and old, and you will have the most incredible and wonderful memories for a lifetime. So watch the videos to see how you could have these amazing experiences and let the road west and north captivate your senses also. Despite the strength of the Australian Dollar making the decision between an international or domestic holiday difficult, getting the best value for money is still the number one priority for savvy Aussie travellers. For those planning a trip within Australia this year, it is important to know that the costs of common holiday items can vary across the country. To help travellers make informed decisions about costs, online travel company Expedia.com.au has compiled its inaugural Australian Expedia Travel Value Tracker*. Accompanying Expedia's international Travel Value Tracker, the annual index lists 10 typical every day holiday items purchased in hotels in Sydney, Melbourne, Brisbane, Perth and Adelaide. Surprisingly, 'Brisvegas' proved to be the most expensive Australian city coming in at $116.05 for the 10 items followed by Melbourne ($112.60), Sydney ($104.80) and Perth ($102.20). Adelaide was the cheapest city for the ten items, coming in well under $100 at $92.90. 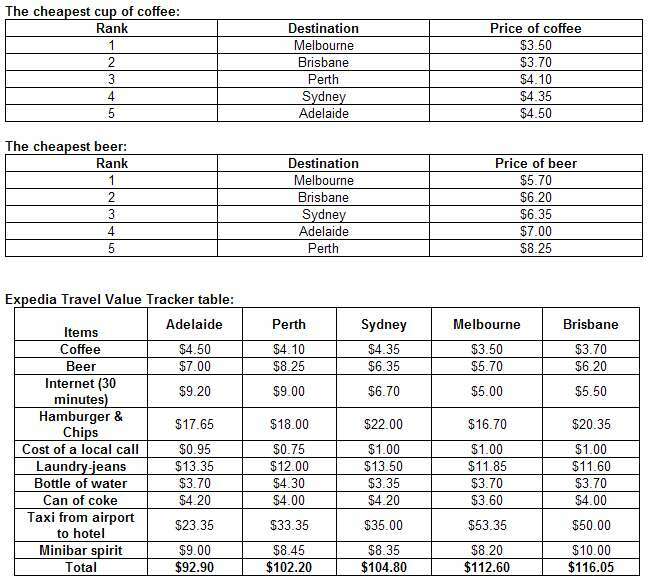 Despite Melbourne being the second most expensive city in Australia, it had the cheapest prices for a coffee, schooner of beer, can of coke, hamburger and chips, and internet access. However, a trip to your hotel from the airport by taxi could burn a hole through your wallet as Melbourne has the most expensive taxi fare in the country at $53.35, one of the highest in the world. London is the most expensive, followed by Paris. Australian cities also proved to be pricey for having jeans laundered, with all capital cities revealed among the most expensive in the world. Sydney has the honour of being Australia's most expensive city in which to get a pair of jeans laundered. In addition to these on-the-ground costs catching travellers by surprise, Aussies are also often stung by domestic flight booking fees of up to $30, charged by some online travel websites. By booking through Expedia.com.au, which does not charge a booking fee, Sydney visitors could make better use of the savings to purchase a cup of coffee and a bottle of water while having their jeans laundered and spending 30 minutes online. In Melbourne, travellers could dine on a hamburger and chips, wash it down with cleansing ale before jumping on the internet to reconfirm their flight; all for under $30. Joana Barros, Senior Manager Marketing at Expedia.com.au, said: "We know holiday budgets can be tight and these necessities can add up to make a serious dent in your spending money. "By pocketing the savings from no booking fees at Expedia, Australians will have more choice to purchase the things they really want, as well as what they need when on holiday," she said. The prices were obtained using an average charged by three, four and five star hotels in each city for each listed item. Qantas has just confirmed a notification by the Australian LIcenced Aircraft Engineers Association that its members will take industrial action next week, as part of their ongoing dispute with the carrier over pay and conditions. The action will include rolling two hour stoppages in Melbourne next Mon, as well as a ban on overtime for all QF licensed engineers for the foreseeable future. QF Group Executive Operations, Lyell Strambi, said the carrier was "currently assessing our contingency plans to minimise the disruptions to our customers". He said union leaders had "shown their true colours by calling industrial action over the school holidays and then making a blatantly cynical offer for Qantas licensed engineers who are on strike to return to work for four times their normal pay. "This reckless action comes on the day that Qantas normal flight operations have resumed and Qantas passengers are finally getting to their destinations following the disruptions caused by the volcanic ash from the Puyehue-Cordon Caulle volcano in Chile," Strambi added. Qantas is calling on the union to stop threatening to disrupt Qantas passengers and take part in a Fair Work Australia mediation tomorrow "to negotiate a realistic outcome". "In addition to collecting these category Awards, it was pleasing to see Thai Airways moving up the global rankings, into 5th place worldwide for 2011, improved from 9th place last year. With these awards directly reflecting customer opinions, it is a clear sign that Thai Airways is now delivering a better overall product and service quality to their passengers," said Edward Plaisted, CEO of Skytrax." In photo: (Left) Mr. Edward Plaisted, CEO of Skytrax, (Right) Mr. Jesada Chandrema, THAI. THAI celebrates its 51st Anniversary during 2011 and 40 years of flights between Australia and Thailand. THAI currently flies 46 times a week from Australia to Thailand with connections to over 70 destinations in 36 countries across 5 continents. All aircraft operating on the Australian route are equipped with the latest in-seat personal entertainment systems for all passengers - and a generous 32-33 inch seat pitch for extra comfort in Economy class. There's a choice of main meals, french wines and cognac for all travellers. For more information log on to www.thaiairways.com.au or contact travel agents; to contact THAI in Australia 1300 651 960. It mightn’t be so hard to become the top motel in Mootwingee or the first choice B&B in Clybucca, but to rise to the dizzying heights of number one-rated hotel on Tripadvisor in one of the world’s most competitive accommodation markets really does take something special. That’s exactly what the all-suite, boutique Hansar Hotel in Bangkok did – and within six months of opening. Fast becoming (if not already) the defining benchmark for hotel popularity, TripAdvisor.com lists 629 hotels in Bangkok ranging from $7 to around $500 per night. Bear in mind too, that star ratings and ARR have little bearing on your ranking as you can stay at the number three ranked hotel for just $45. So, it’s the whole package that travellers rate and whether they have good value despite the price. In an exclusive interview with HM, Hansar Hotel Manager Jeerasak Loturit was asked what he thought the Hansar provided that won them this coveted accolade. A fairly safe answer, so I took the hotel tour with Hansar Hotel Assistant Manager, Surat ‘Ploy’ Somboonthana, to see for myself. Far from a “cookie-cutter” approach to design, each of the 94 suites has its own character. Some have little kitchenettes and concealed laundry facilities, some have balconies, while others have an interior green wall with sunlight-fed plants behind a glass screen. Views and layouts vary and the two split-level ‘Loft’ duplex suites are divine. 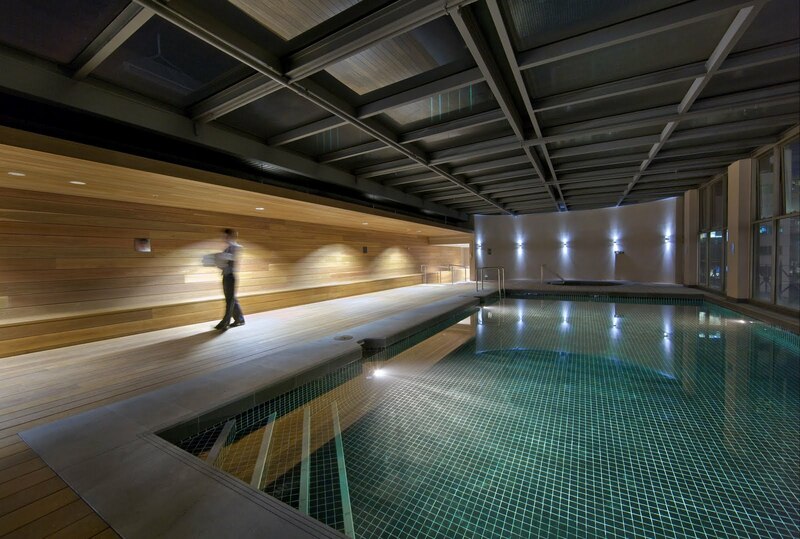 Naturally there is a spa and treatment rooms, gym and pool while business and ‘club’ facilities are exceptional and retain the same intimate feel. Small Luxury Hotels of the World (SLH) is clearly playing a critical role in the launch phase. “We are getting around 50% of bookings from SLH members,” Somboonthana told HM, and with such competitive pricing, it’s little wonder the luxury-loving set are impressed. With a soft opening in December 2010, it must have been a nervous time for Hansar with the recent well-publicised challenges in Bangkok and a widely acknowledged oversupply of rooms. “Bangkok in general has experienced strong growth from regional markets as a great Asian City to visit,” Loturit said. “As supply rapidly grows, so marketing efforts have intensified across all market segments with strong growth coming out of Asian and Middle East countries in addition to traditional European markets. 5-star properties make up the remaining 25% of total Bangkok hotel inventory. Colliers Thailand* supports this optimism, reporting that occupancy was climbing towards 70% in the upper and luxury segments after bottoming out to 30% this time last year. And where is the growth coming from and what draws them to Hansar? While Bangkok is not ‘out of the woods’ yet, the signs of recovery are there and Hansar is perfectly poised to gather the lion’s share of returning visitors in the luxury segment. Paris to New York in 90 minutes? EADS, the parent company of Airbus, is to unveil plans for a “hypersonic” plane that can fly twice the speed of Concorde on biofuel made from seaweed, and takes less than 90 minutes to fly from Paris to New York. The 3,125 mph jet known as ZEHST, standing for Zero Emission Hypersonic Transportation, will transport up to 100 passengers at more than four times the speed of sound, with a cruising altitude of 20 miles above the Earth – just outside its atmosphere. A 16ft replica of the plane, which is being built in collaboration with Japanese engineers, will be inspected by French President Nicolas Sarkozy at Le Bourget airport in Paris. It will take just 90 minutes to fly from Paris to New York, compared to three and a half hours for Concorde and almost eight hours in a normal passenger jet. Paris to Toyko could be completed in under two and a half hours. EADS expects ZEHST’s first commercial flight to take place in 2050, with the first non-manned test flight scheduled for 2020. The U.S. plans on launching a trial run of the trusted traveler program later this year, John Pistole, head of the Transportation Security Administration, told the U.S. Senate’s Homeland Security and Government Affairs Committee. The TSA has been under pressure to provide a security screening program for business travelers and frequent flyers that would allow them to undergo security backgrounds screenings so they could move quickly through airport checkpoints. Pistole said the TSA would work first with U.S. carriers and expects to start a trial process this fall. Pistole also said that the TSA was reviewing screening procedures for children after a video of a 6-year-old being patted down went viral, with many questioning whether young children truly present a security risk. The U.S. Travel Association, which has been lobbying for a trusted traveler program, praised the initiative. This is a risk-based trusted traveler program where travelers can opt in and voluntarily provide background information to qualify for expedited screening, similar to trusted traveler programs operated by U.S. Customs and Border Protection. "We are extremely pleased to hear Administrator Pistole plans to implement a trial trusted traveler program as early as this fall," said Roger Dow, president and CEO of the U.S. Travel Association. "U.S. travelers will greatly appreciate TSA's responsiveness on this issue." For more information, visit www.tsa.gov. 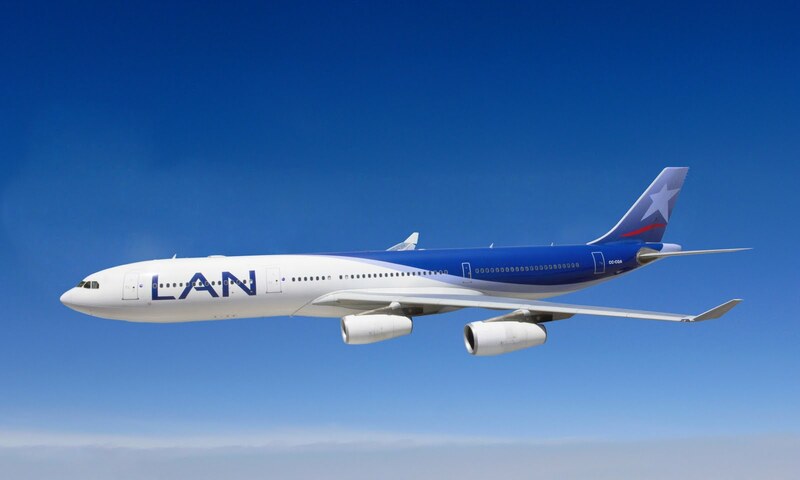 LAN Airlines has confirmed a temporary flight schedule between Australia and Chile until next Monday, 27 June, in response to continuing uncertainty about volcanic ash cloud in New Zealand airspace. From now until Monday, 27 June, LAN will suspend flight LA 800, its daily Sydney-Auckland-Santiago service. Instead, it will operate an alternative flight, LA 804, from Sydney to Santiago, via Papeete, French Polynesia. This service will depart Sydney at 2.50pm on Saturday 25 June and Monday 27 June, arriving in Santiago at 9.20pm local time the same day. Flights beyond these dates will be advised as soon as possible. For passengers travelling from Chile to Australia, LAN also will suspend flight LA 801, its daily Santiago – Auckland-Sydney service until Saturday evening, 25 June, Santiago time. Instead, the airline will operate temporary flight LA 805 from Santiago to Sydney via Papeete, departing at 10.50pm on Thursday , 23 June and Saturday, 25 June, arriving in Sydney at 10.50am on Saturday 25 June and Monday 27 June. Papeete will be used for a technical stop only. Passengers cannot disembark or join the flight there. Passengers seeking to fly on the services via Papeete must have either an Australian passport or a current Australian visa. LAN apologises for the disruption to passengers' travel plans, and will advise as soon as possible when normal services will resume. For further information in Australia, consumers should call 1 800 558 129. Qantas has just revealed details of a new domestic fare structure, saying the change provides customers with "greater simplicity, flexibility and further Qantas Frequent Flyer benefits". The previous four economy fare families have been reduced to three and now include Red eDeal, Flexi Saver and Fully Flexible fares - all with included meals or refreshment, inflight entertainment (except on QantasLink services) and a checked baggage allowance of one piece of luggage up to 23 kg. Qantas Frequent Flyer ceo Simon Hickey also detailed changes to the frequent flyer arrangements, with all QF domestic fares - including Red eDeals - becoming eligible for Domestic Flight Upgrade Awards to business class using Qantas Frequent Flyer points where available. "In addition all flexible domestic fares will be classed as 'Economy' resulting in improved Status credit earn and upgrade rates for members on more fares," he said. QF Group Executive Commercial Rob Gurney said the new fare structure would be valid for tickets booked from Thu 07 Jul. "Qantas remains committed to ensuring it is best for business and accordingly we are very pleased to be making these changes to strengthen our domestic and regional offering," he said. As Australians continue to struggle with the impact of the Chilean ash cloud, Australia's leading premium travel agency group, Travelscene American Express, is confident the chaos is helping to highlight the many benefits of dealing with a licensed travel agent. While travel agents are working hard to help those caught up in the current travel delays, Travelscene American Express CEO and Chair of the Australian Federation of Travel Agents Mike Thompson says times like these showcase the importance of travel agents. "It's when things go wrong, when flights are cancelled and you need to find an alternate way home, or an interim solution, that a good travel agent really comes into their own," Mr Thompson says. "Not only will a good travel agent help you choose the right fare, the right insurance, and the right travel solution, but when you're stuck, a good travel agent can make the world of difference." "Without a travel agent, you really are on your own"
"Our Member agencies, both retail and corporate, are working around the clock to help their clients in many different ways – from keeping them updated to helping them work around those destinations shut, or likely to close due to the ash cloud, through to working with them to find interim solutions from accommodation to hire cars." "Travelscene American Express also enjoys very strong relationships with major airlines, and the leading hotel chains, and car rental businesses so our Member Agencies are able to take advantage of those strong ties to ensure their clients are at the front of the line." Mr Thompson said travel agents were also a good source of knowledge on choosing the right travel insurance policy with the most appropriate cover. "This is a genuine opportunity to remind the travelling public that you need to make sure that you have the right travel insurance policy for your travel arrangements and that you understand what exactly you're covered for and what you need to do to access that support when your travel doesn't work out as planned. Your travel agent is ideally placed to help you make that decision." Tomorrow's (June 22) Serviced Apartments Summit and Thursday's (June 23) ANZPHIC 2011 conference have been postponed indefinitely due to the cancellation of Sydney flights as a result of the ash cloud from Chile's Puyehue-Cordon Caulle volcano. While Sydney flights were expected to resume by tomorrow, Horwath HTL Australia's Managing Director John Smith said "as with previous disruptions to airline services it is likely that even after services resume, there will be backlogs and further delays to deal with". "In the circumstances we feel we have no choice but to defer both the Serviced Apartment Summit that was due to take place tomorrow and ANZPHIC 2011 that was due to commence tomorrow night and run through to 1pm Friday," he said in an email to delegates this afternoon (June 21). "We have over 150 interstate and international delegates amongst the 400-plus registered delegates for these events and of course we also have many international and interstate speakers and sponsors. "In 11 years of running ANZPHIC we have never had to consider such a drastic move as postponing the event and whilst we are firm believers in the principle that 'the show must go on' we don't think the present circumstances allow us any choice but to defer both events and re-schedule them for a future date when we can deliver two events to the standard we know all of our stakeholders expect. "We will urgently review potential dates and will be in touch again in a few days time, but for now we wanted to let you know at the earliest possible time about this unavoidable decision and extend our apologies for any inconvenience." The ash cloud forced Tiger to cancel all flights across the airline's network, and Qantas and Jetstar to cancel all domestic Sydney services from 3pm today. Virgin's Sydney and Melbourne flights have also been suspended from 4pm onwards. Quest Serviced Apartments has identified Port Hedland as its next West Australian location, committing to a 20 year lease (with two ten year add-on options) for a new 120-apartment development. Quest, which has more than 140 serviced apartment properties in Australia, New Zealand and Fiji has a national growth agenda of 8-10 new properties each year, the majority of which are likely to be in booming regional locations like Port Hedland. Paul Constantinou, Chairman, Quest Serviced Apartments said the Port Hedland development will ease undersupply and support future growth in the resources-rich Pilbara region. "Port Hedland is entering a period of unprecedented growth as the resources sector invests in construction and development of port and mining infrastructure. There is currently no quality accommodation to support businesses throughout this growth," he said. 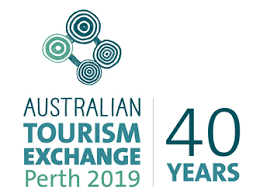 "West Australia and more immediately, the Pilbara region are in our sights as being severely undersupplied with flexible, quality accommodation for the specific needs of business travellers, particularly those travelling for extended periods for projects," said Mr Constantinou. The Port Hedland Quest development will not only ease the accommodation shortage, but provide a solid long-term opportunity for investors. Conray Passaris, Director, Realmark Commercial said, "Research reveals that private investors are actively seeking this type of investment, over and above alternate property investment opportunities. "This is due to the physical nature of the product, the opportunity for personal tax offset benefits and stability of investment returns via long-term leases to proven operators. "Over the past 25 years the serviced apartment property sector has become a very established market segment that is out-performing other asset classes in the provision of traveller accommodation," said Mr Passaris. Chris Adams, General Manager of the State Government's Pilbara Cities project welcomes the Quest development, saying "Investment in high quality accommodation projects like this one will assist in alleviating the current accommodation shortage and go a long way towards turning Port Hedland into a regional city of the North," said Mr Adams. Over the past 23 years, Quest Serviced Apartments, which pioneered the serviced apartment industry, has established itself as a trusted national brand with business travellers and corporate clients. Quest's focus on the business traveller and its ability to quickly develop in emerging growth areas, has allowed it to maintain a strong growth agenda and achieve ongoing year on year revenue growth. Over the past six years, Quest has grown its revenue by double digit percentages each year – even through the GFC. Construction of the 120-apartment Quest Port Hedland is expected to commence towards the end of 2011. Sale of a select number of the leased strata titled apartments will commence shortly through joint selling agents Hedland First National and Realmark Commercial, Special Projects. The Hilton Sydney scooped the pool at the 14th Annual AHA (NSW) Accommodation Awards For Excellence last night, winning seven awards in the Hotel Achievement and People Award categories. 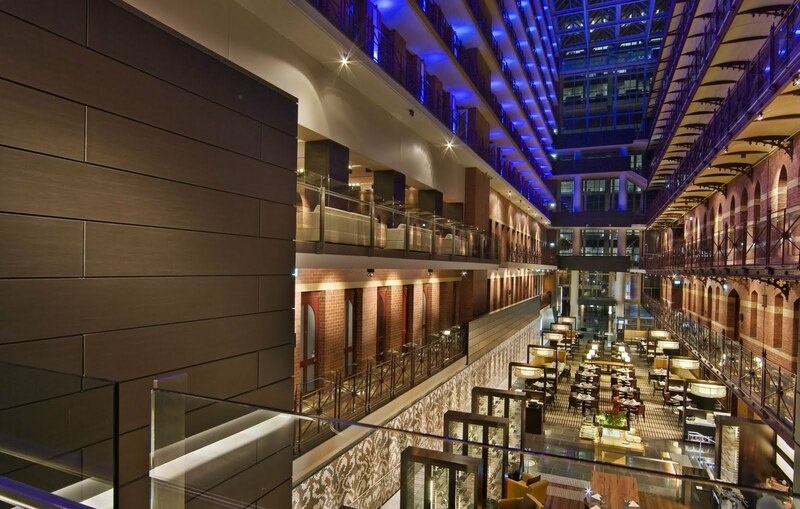 Sheraton on the Park also won four awards – including the coveted induction into the Hall of Fame for Function Venue of the Year, while the Shangri-La Hotel Sydney won the prestigious Deluxe Hotel Accommodation of the year Award. More than 450 political, business and community leaders – including NSW Premier Barry O’Farrell – filled the ballroom at the Westin, Sydney for the glittering Awards Ceremony. A total of 32 awards were presented to winners from a field of more than 140 finalists. AHA (NSW) Accommodation Division Chair Peter Tudehope said the industry had excelled itself on its night of nights. “To see so many political and business leaders out in force supporting our accommodation industry is an achievement in itself,” he said. “There’s no doubt the annual AHA (NSW) Accommodation Awards For Excellence is the highlight of the industry’s social calendar - we can see from the high quality of all the finalists that the accommodation industry is the real winner here. · Hilton Sydney: Seven Awards including Outstanding Achievement in Training, Apprentice/Trainee Employee of the Year (Carol Nazha), Chef of the Year (Gary Johnson) and Employee Excellence in Service (Mamdoh Kiriakos). · Sheraton on the Park: Four Awards including Hall of Fame Function Venue of the Year, Occupational Health and Safety Hotel of the Year and Front of House Employee of the Year (Evan Burns). · Radisson Blu Plaza Hotel, Sydney: Two Awards including Restaurant of the Year (Bilson’s) and Housekeeper of the Year (Maureen Jolowicz). · Bayview Boulevard Sydney: Outstanding Community Service and Achievement. · Hunter Valley Steakhouse, Mercure Hunter Valley: Regional Restaurant of the Year. · Loxley, Bellbird Hill: Hall of Fame Inductee: Regional Mid-Range Accommodation Hotel of the Year. · Four Points by Sheraton: Superior Hotel Accommodation of the Year. · Lillianfels Blue Mountains Resort and Spa: Regional Deluxe Hotel Accommodation of the Year. AHA (NSW) CEO Sally Fielke said the Awards night gala capped off a big year for the accommodation industry. “We have seen a new Board chairman elected in Peter Tudehope as well as the establishment of Tourism Accommodation Australia – the nation’s peak accommodation body. 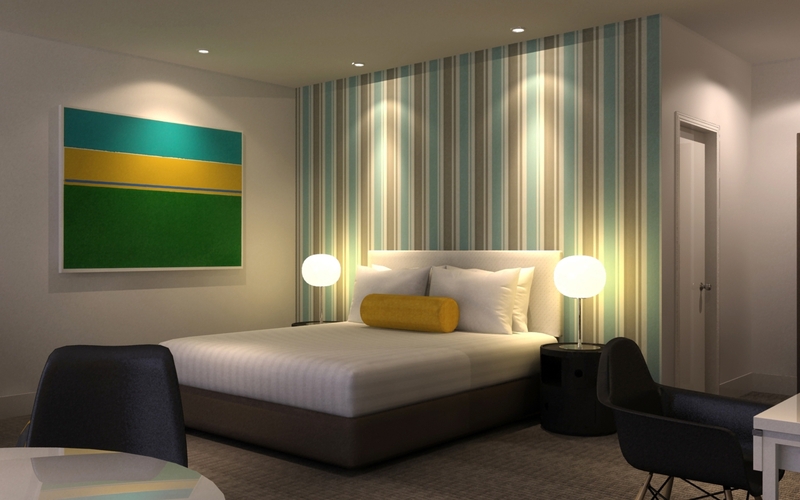 Quest Serviced Apartments has opened its newest property in Bondi Junction, New South Wales. The property opened on 3 June and is the first new quality accommodation offering to open in the area for at least five years. The serviced apartment property offers flexible, comfortable and spacious serviced apartment accommodation for business and leisure travellers visiting Bondi Junction for short and extended periods of time. Paul Constantinou, Chairman Quest Serviced Apartments says the new Quest Bondi Junction is a much needed addition to the area which has experienced limited accommodation options for many years. "There is significant corporate investment being made in Bondi Junction and increasing interest in the area for events. With only a few accommodation players in the area, demand currently far outweighs supply, which in the long run may stifle the area's potential to grow as a business and events hub," he says. "No longer do we see high demand for corporate accommodation confined to metropolitan business districts. Bondi Junction is home to retail, health, finance and insurance industries and the addition of Quest Bondi Junction's 82 studios apartments will go some way to filling the accommodation gap." Quest Bondi Junction is located at 28 Spring Street, Bondi Junction within walking distance from Westfield Shopping Centre and Centennial Park and just 5km from Sydney's CBD. 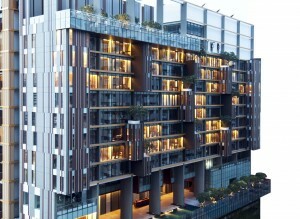 The contemporary property features 82 spacious studio apartments and is anticipated to be 4.5 star AAA Tourism rated. Each studio apartment is stylishly appointed and features kitchenette facilities, a separate work desk, living and dining areas, a mini bar, broadband internet access and Foxtel. In addition, the property offers daily room servicing^; business administration services: local restaurant chargeback arrangements and a pantry shopping service*. "The tailored services and facilities offered by Quest Bondi Junction provide all of the business and leisure amenities desired by the modern traveller, so they can complete their business in comfort and with ease," says Mr Constantinou. InterContinental Melbourne The Rialto has received another validation as one of the world's best hotels, with its inauguration into the prestigious Kiwi Collection. Offering the world's largest independent selection of hotels, Kiwi Collection assembles the very best places to stay for its clientele of discerning international travellers. The inclusion strengthens InterContinental Melbourne's reputation as a top luxury hotel, adding to such achievements as being named Australasia's Leading Business Hotel by World Travel Awards 2010 and recognised as one of the world's best new hotels by both Conde Nast Traveler and Wallpaper*. "Our inclusion by Kiwi Collection among the best luxury hotel destinations from around the globe is yet another example that InterContinental Melbourne The Rialto's offering – our people, facilities and experiences – is world class," InterContinental Melbourne The Rialto general manager Joerg Boeckeler said. The only international high-end hotel in the city's financial business district, InterContinental Melbourne The Rialto is built within the impressive 19th Century Victorian Rialto building on Collins Street, surrounded by the laneways, attractions and experiences that give Melbourne its international appeal. Behind its Gothic façade, InterContinental Melbourne is a sleek yet intimate luxury hotel, home to a unique suite collection, exclusive Club accommodation and Club lounge, the indulgent East Day Spa and a Scandinavian-inspired rooftop swimming pool. In addition to its variety of dining experiences and bars, including Alluvial Restaurant and Guy Grossi's newest venture, Merchant, the hotel is surrounded by some of Melbourne's best restaurants, including Shannon Bennett's new Vue de monde on the 55th floor of the adjacent Rialto building. For more information InterContinental Melbourne The Rialto, visit www.intercontinental.com/melbourne. For a truly decadent dose of retail therapy, jet off to Bangkok and check in to Tower Club at lebua for an ultra-luxury shopping break to enjoy designer discounts and savings on eclectic handmade items during the Amazing Thailand Grand Sale (15 June to 15 August 2011). And the soaring Australian dollar means there's never been a better time to make the most of Thailand's acclaimed hospitality. Thailand's annual retail spectacular has been attracting both bargain hunters and the style savvy for 14 years. This year, more than 15,000 boutiques, department stores, day spas and more will offer mark downs of up to 80% off everything from deluxe high-end brands to local handicrafts, jewellery to electronics. With days spent exploring the city's swish malls, international flagship stores, cultural precincts and bustling bazaars, you'll look forward to resting your retail-weary feet at the deluxe and spacious all-suite Tower Club at lebua. Unwind and rejuvenate in the deep water open-air swimming featuring massaging Jacuzzi jet nozzles for aching backs and tired toes. Spoil yourself with exclusive Bvlgari amenities, enjoy a cocktail on the balcony overlooking the city's glittering skyline and the breathtaking Chao Phraya River below, or retire to Tower Club Lounge where you'll be treated to complimentary canapés, beverages and glamorous high tea. When the sun goes down, there's no need to venture far to enjoy Bangkok's most coveted dining and nightlife hotspots – they're all under the one roof at The Dome – a haven of creative cuisine and sophistication taking over the top levels of State Tower which is home to three chic restaurants and two fabulous bars, including Sirocco – the world's highest al fresco restaurant and Sky Bar – open-air and irresistible. Whether you stay for a weekend or a week, Bangkok offers a truly diverse and world-class shopping experience. Whether you love to wander the streets seeking out unique local craft and curios, marvel at the latest mega malls or peruse the traditional wet markets – the Amazing Thailand Grand Sale appeals – and so does Tower Club at lebua. For a truly indulgent package, enjoy the Tower Club Prestige Experience from AUS $265*++ per night (exchange rate on 14 June - price based on US$279) until 31 October 2011 (*min 3 nights per stay). For reservations, log onto www.lebua.com or contact reservations on +66 2 624 9555. *Min 3 nights consecutive stay is required and twin share. Rates are single/double occupancy, subject to 10% service charges, and applicable government taxes per room per night. Rates and reservations are subject to space availability. 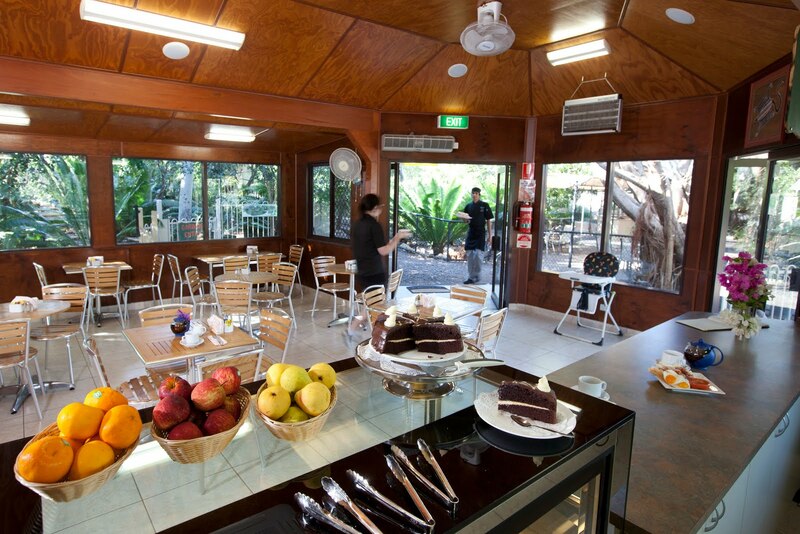 Nitmiluk Tours has taken over management of the Cycad Gardens and Cafe in Katherine in a move aimed at extending its tourism portfolio, but also at creating a platform for tourism and hospitality training opportunities for the local community. "Taking over management of this facility provides some long term planning and development opportunities for Nitmiluk Tours", said CEO of the Nitmiluk Group, Mr Clive Pollack. "More significantly for both Nitmiluk Tours and the Katherine region, the coffee shop and facilities within the Gardens also provide the opportunity to work with Charles Darwin University to develop hands on training programs in hospitality and tourism – opportunities which are lacking in the area. "Through this facility we can now support training programs and apprenticeships up to Certificate Level III in Hospitality as well as a number of apprenticeships. "Visitor numbers into this area continue to grow as awareness of the unique qualities of the region grows Training opportunities for local Katherine youth have not matched that growth. With the development of the training facility through Cycad Gardens we are creating a resource for the community, as well as creating a strong employment pool for local tourism", said Mr Pollack. The Cycad Gardens contain more than 200 different species of plants from the ancient cycad family, all nestled among a visually striking and prehistoric rocky landscape. 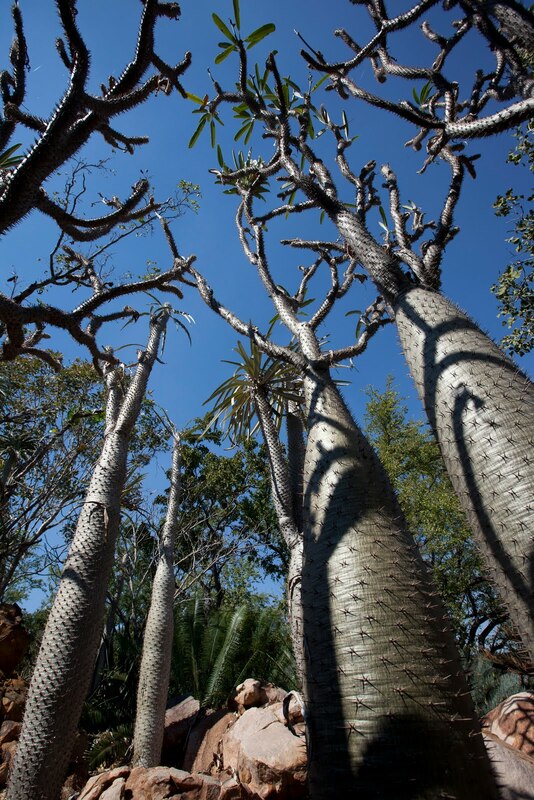 The owners have collected seeds from various habitats all around the globe and developed the site over a 23 year period, culminating in a stunning property housing around 40,000 cycads. Apart from this amazing collection, the property also includes an assortment of succulents and cacti, as well as rare and endangered plants from around the world. Visitors can take an informative self-guided tour around the property, via 1.4 kilometres of walking paths with interpretive signage. 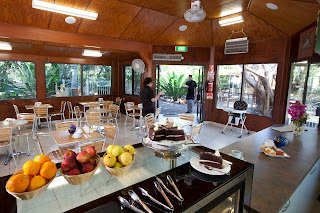 The gardens coffee shop seats about 40 people and offers espresso coffee, cakes, cold drinks, light meals and snacks. Outside features gazebo's with tables and chairs surrounded by lush lawns and tropical gardens for visitor comfort. Despite their dramatic exit from Indochina in 1954, the French have never lost their enthusiasm for the former colonies of Vietnam, Laos and Cambodia. While many ornate public and private buildings from the century prior to their departure grow tired and faded or simply disappear, others are revived and venerated, reborn into a new and changing landscape. Once dubbed ‘the Paris of the East’, Phnom Penh has certainly witnessed more than its fair share of upheaval. Since the dark decade of the ’70s, the Cambodian capital has gradually recovered itself from ghost town to the point where Lexus SUVs are mingling awkwardly with the torrent of noisy step-thru motorcycles. Cranes sit atop new sky-scraping developments as the flow of international investment dollars increases. In the old quarter of the city, built among new development on vacant land is Phnom Penh’s newest luxury hotel, Sofitel Phnom Penh Phokeethra, set riverside amongst landscaped gardens and signals the return of the premium brand, absent since 2003. With a soft-opening in mid-December 2010, the USD$50 million, 201-room hotel was immediately in the spotlight as headquarters and host hotel for the Asian Tourism Forum in January this year before its official opening on 29th March. In an exclusive interview on site, HM spoke with resident manager, Frederik Deman. 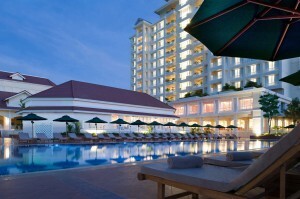 HM: Accor is back as an investment partner in this hotel. Is this a new sign for the Sofitel brand? FD: As you know, the Sofitel brand only manages properties, there are no Sofitel franchises and in the case of Sofitel Royal Angkor opened in 2000 in Siem Reap, it is management only of a 100 percent Cambodian owned property. In the case of Sofitel Phnom Penh Phokeethra, Accor is most definitely an investment partner along with Thai and Cambodian partners. Having said that, the Sofitel brand is near maturity in this region and further opportunities for Accor as a company lie in our 4-star brands such as Mercure, Novotel and Ibis for hotels and resorts. HM: How did you find gaining staff? FD: That task was relatively easy. Accor has operated a hotel school in Siem Reap for a decade so apart from locally trained staff – we like to call them ambassadors – we drew on experienced talent from Siem Reap. Our team is around 450 at the moment. HM: What challenges do you face in the short term? FD: Right now the supply is an issue. Without direct air routes into Phnom Penh it’s tough. We’re competing directly with the Raffles and Intercontinental but have already taken the #2 position on Tripadvisor, so we are happy with that progress. Royal Caribbean Cruises has just announced that its "megaliner" Voyager of the Seas will be based in Asia and Australasia from 2012 - including a five month season based in Sydney from November 2012. The 3840-passenger vessel will also cruise in China between June and October 2012, and will be the fifth Royal Caribbean Cruises Limited ship sailing in the region in 2012/13 - alongside Rhapsody of the Seas, Radiance of the Seas, Celebrity Solstice and Celebrity Millennium. "There are clear opportunities in the China and Australia markets, which are key areas for Royal Caribbean International's global development," said ceo Adam Goldstein at a press conference in Shanghai. Royal Caribbean Australia md Gavin Smith said the positioning of Voyager down under "demonstrates our company's tremendous belief in the future of this region and we are extremely honoured to shape the future of cruising in Australia". Voyager of the Seas has 1556 staterooms and will introduce a host of innovations including its 'Royal Promenade' indoor main street, an ice rink, skating track, golf simulator and inside cabins with a view. She will operate 12 New Zealand, South Pacific and Australian itineraries ranging from one to 18 nights, sailing from Sydney and Fremantle. Royal Caribbean said the cruises were due to open for sale early next month. More information in tomorrow's Travel Daily and Cruise Weekly. NRMA Tourism and Leisure has just announced that products offered by its Value Tours, Coral Seas and Creative Cruising brands will be "presented under the Adventure World banner" effective 01 Jul. The move aims to consolidate products across the company under "one market leading brand," according to ceo Keith Stanley. "By operating under one brand we can truly harness and leverage our message as the destination experts by having a series of strong reservation teams who are devoted to their area of expertise," he said. Stanley said that while the sub-brands would continue exist, the main focus of the company's marketing will be aligned to Adventure World. "The streamlining of systems, processes and services offered to our valuable partners will improve our effectiveness," Stanley said. Australia's biggest online travel insurer has warned travellers to take greater care on safari in Africa as this year's prime game-viewing season approaches. Travel Insurance Direct (www.travelinsurancedirect.com.au) General Manager Ian Jackson said a lion attack on an American tourist near Victoria Falls last month provided a timely reminder of the dangers of African wildlife. "Now that the dream of an African safari has become more commonplace, we're hearing occasional reports that travellers aren't always paying full attention to their safety," Mr Jackson said. "A safari is generally a very safe and rewarding experience, but it's vital that travellers take precautions and follow the instructions of their guides." Always stay in the vehicle - unless directed by a guide, travellers should never stray from the safety of their van, truck or four-wheel-drive. Never turn your back – watch and listen at all times. When on a walking safari, always remember the adage that the only thing in Africa that turns and runs is prey. Listen to your guide – always pay attention and never stray. If a guide instructs you to move on or to back away, do so. Keep your voice down – animals scare easily and are less predictable when startled. Ensure you're protected – only travel with a licensed safari guide and ensure you have adequate travel insurance. Mr Jackson said the best game-viewing seasons in many African countries fell between June and October, making these the most popular months for travellers. He said animal attacks on tourists were still extremely rare, but the growing popularity of African tourism meant increasing contact between animals and humans in some areas. "No photograph is ever worth the risk of an animal attack," Mr Jackson said. "Never try to get closer and remember to put the camera down and be aware of your surroundings." Mr Jackson said safari travellers were covered by most travel insurers as long as they travelled with a licensed guide and did not behave recklessly or under the influence of alcohol or drugs. Africa's leading airline, South African Airways has released details of new in-flight dining menus for international and regional long-haul flights. According to SAA's Head of Australasia and India, Thevan Krishna, the new menu will "delight our customers' palates and further enhance SAA's onboard product offering." "After detailed research into global trends in dining and cuisine, we have designed a healthy new menu to tantalise our passengers' tastebuds," Thevan said. "We have also taken into account the desire of a large number of passengers who want to consume meals when they want to." "On all international sectors, SAA will now offer a selection of canapés to accompany the "first beverage" service in business class with international and long haul regional flights having an option of a fresh seafood starter or hot soup. This is followed by an aperitif that includes a glass of one of France's most famous champagnes, Moet & Chandon Brut Impérial." "A basket filled with an assortment of warm fresh breads and pastries with butter and preserves will be offered before the four main course options to include poultry, red meat, fish and non-meat dishes. The new poultry choice is a lighter, healthier option of grilled lemon and herb chicken breast served with steamed baby potatoes, Parisienne butternut and mange touts." "SAA is also offering a traditional South African specialty – Kingklip caught off the South African coast, accompanied by cumin-scented yellow basmati rice, grilled mixed vegetables and lightly curried Cape Malay sauce. For a sweet finale, premium class customers will enjoy a cake of the day." "A selection of fine South African cheeses, crackers and preserves will follow, served with beverages from the full bar. SAA's wine selection is one of the best of any global airline and includes hand-picked wines from the best vineyards in South Africa, France, Australia, Italy and the US." "For the convenience of our business class passengers, SAA now offers a new Express Service, giving customers more time to work or relax while onboard. SAA's Express Breakfast consists of natural or flavoured yoghurt, cereal, sliced seasonal fresh fruit and a selection of bread. Upon customer request, this meal will be served 90 minutes before landing." Thevan said that in economy class, there will now be a selection of three main courses instead of two with a healthy salad starter, followed by a red meat dish, chicken or fish and a non-meat option. Dessert is followed by cheese and crackers, with a full bar offered. "To enhance the travel experience of our customers, we will ensure that ingredients relevant to a particular route in all classes are served," Thevan said. "Our menus within South Africa have also been upgraded, with business class passengers enjoying the choice of a hot English breakfast or health-conscious menus comprising fruit, yoghurt and muesli. " "On both long and shorter routes at different times of the day we will offer delectable snacks including meat and non-meat options, fruit salad or desserts as an afternoon option." "In economy class on shorter routes, passengers will be delighted by fresh sandwiches, healthy wraps and picnic baskets with savoury and sweet components." SAA's new menu will be served using re-usable or biodegradable bamboo packaging, in line with its carbon offset program. A leading retail expert has reassured the travel trade that supermarkets will not become travel agents as they “can’t be bothered”, although senior travel bosses disagreed as to the reasons why at this week’s WTM Vision Conference – London. Former Selfridges Chief Executive Peter Williams told delegates at the CBI Conference Centre: “The supermarkets have not got into high street travel because of operational difficulties and it is a specialism. “Supermarkets are simple. They have deskilled their business. For them to get into travel properly, they would need staff knowledge, and they can’t be bothered,” the ASOS Senior Independent Director said. Delegates, led by The Co-operative Travel Managing Director Mike Greenacre, disagreed, saying that it was the low margins which were keeping supermarkets out of bricks and mortar travel. In the final session - a panel discussion about the UK outbound and domestic market - Denis Wormwell, CEO of Shearings Holidays, agreed with Greenacre. “We are working on 2.7% margins with inflation running at 5%. It is a very scary place to be in,” he said. Wormwell quoted a colleague from outside the travel sector who said: “That’s a very long walk for a small beer”. Shearings has an average selling price of £300, making a profit of £8.20 on each holiday. The panel concluded the industry must take cost out of the business to improve margins. WTM Vision Conference – London was organised in association with Kingly Event Management and sponsored by corporate travel insurance firm Mapfre Assistance. As the leading foreign exchange earner and representing one in every seven jobs, tourism is a crucial factor in Egypt's economic recovery, stressed the Prime Minister of Egypt, Essam Sharaf, during an official visit of UNWTO Secretary General, Taleb Rifai, and President and CEO of the World Travel & Tourism Council, David Scowsill, to the country (Cairo, Egypt, 29 May). Meeting with the Prime Minister, the Minister of Tourism, Mounir Fakhri Abdel-Nour, as well as other public and private tourism representatives, Mr. Rifai and Mr. Scowsill expressed the commitment of the international tourism community to support the sector as a key component of Egypt's transition. Prime Minister Sharaf confirmed the strategic importance of tourism for the country's economic recovery and social stability, especially in the current transition period. "We appreciate your visit and support; tourism is a critical activity for Egypt," he said. "This is a time for action which will help us get through the current bottleneck; the more we do together, the better," he added. "International tourists are slowly beginning to return to Egypt. The sector is a lifeline for our economy and in 2010 accounted for 11.5% of our GDP and US$ 13 billion in revenues. We count on UNWTO and WTTC for the right advice and support," said the Minister of Tourism, Mounir Fakhri Abdel-Nour. Mr. Rifai praised the high political support shown for tourism; the principal foreign exchange earner and a leading job creator in Egypt. "Tourism is clearly seen as a national priority involving all areas of public policy and thus can be a major contributor to consolidate the transition," he said. "Moreover, throughout my visit it has been very clear that the Egyptian tourism sector is fully operational and ready to receive visitors," he added. Mr. Scowsill also highlighted the importance of close collaboration between global public and private tourism players, along with the need to clearly communicate the stability in the country. "Egyptian tourism has recovered quickly from setbacks in the past, and it is good to see that visitors are now coming back. Given the current difficulties in the region, it is important for the industry to get a clear message out that the new Egypt is stable and open for business," he said. In his meetings with tourism stakeholders, Mr. Rifai underscored the importance of the backing of the international community to Egypt, both politically and financially, as witnessed by the recent announcements of the G8 and the World Bank to commit substantial funds for the country. "Egypt is not only the leading tourism destination in the region, but also a central piece for its political and economic stability," he said. 14 million international tourists visited Egypt in 2010, generating nearly US$13 billion in international tourism receipts. These receipts represent around 6% of the country's GDP and over 11% when the full sector is considered. 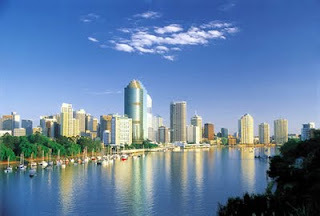 International tourist arrivals saw a decline of 45%in the first quarter of 2011. The World Tourism Organization (UNWTO: www.UNWTO.org), a United Nations specialized agency, is the leading international organization with the decisive and central role in promoting the development of responsible, sustainable and universally accessible tourism. It serves as a global forum for tourism policy issues and a practical source of tourism know-how. Its membership includes 154 countries, 7 territories, 2 permanent observers and over 400 Affiliate Members. The World Travel & Tourism Council (WTTC) was established in 1990 with Members representing the world's foremost leaders in the private sector of Travel & Tourism. It aims to promote the importance of the industry as a generator of economic growth, encourage public-private partnerships, and persuade governments to adopt policies that will allow the industry to thrive. WTTC's annual Global Travel & Tourism Summit brings together over 1,000 delegates to discuss the opportunities, challenges and issues facing the industry, while its Tourism for Tomorrow Awards recognise the industry's power to be a positive force in sustainability.